Description: St. Paul's Methodist Episcopal Church, southeast corner of 13th and Lawrence (Broadway). 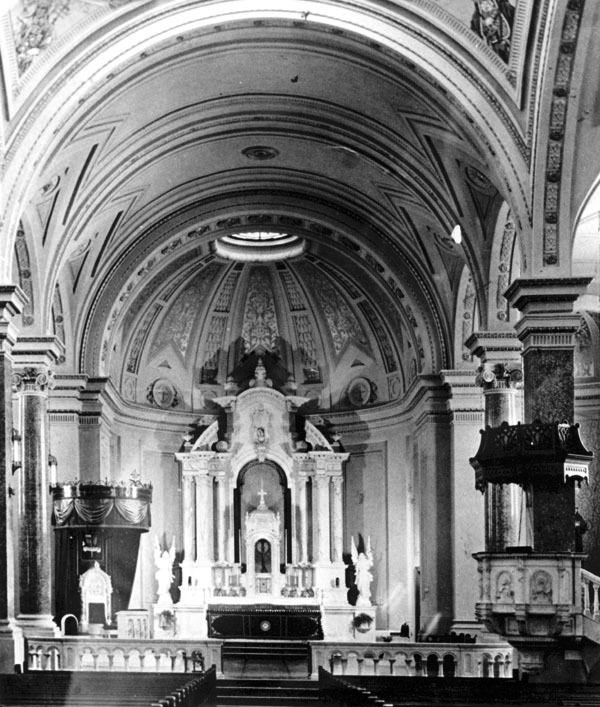 Description: Altar at St. Mary's Cathedral, southeast corner of Central and Broadway. 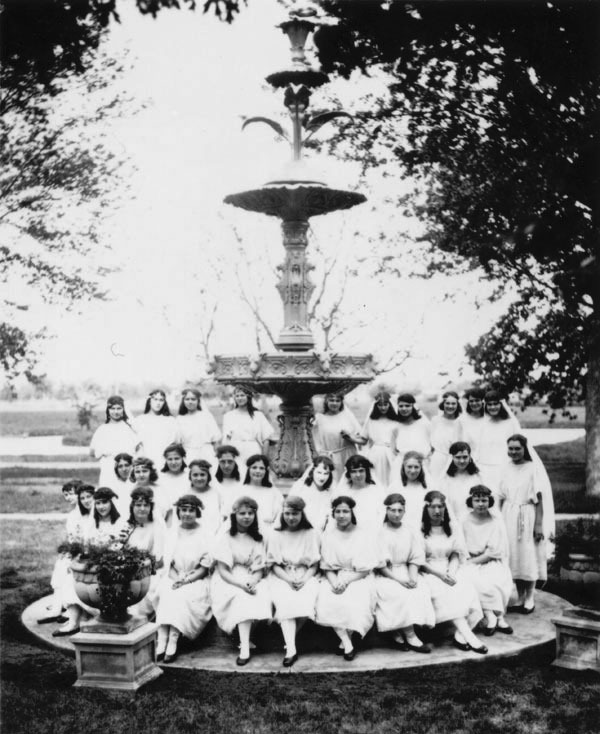 Description: Group of young women gathered around a fountain on the campus of Mount Carmel Academy. Keywords: Education; religion; organizations, clubs and groups; Wichita; girls; students; school. 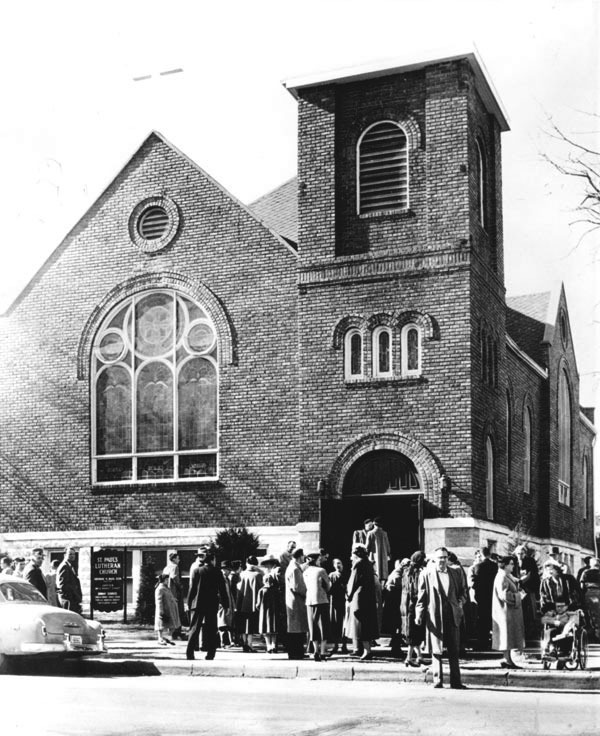 Description: First Methodist Episcopal Church, located at 330 North Broadway. Description: Victor Murdock, editor-in-chief of the Wichita Eagle newspaper, makes speech on occasion of 50th anniversary of first Salvation Army street meeting in Wichita. Bronze tablet was placed in concrete in front of Farha Bootery shoe store, 116 East Douglas Avenue. Photograph taken May 12, 1936. Keywords: Wichita; organizations, clubs and groups; public events; people; religion; business and industry; buildings. 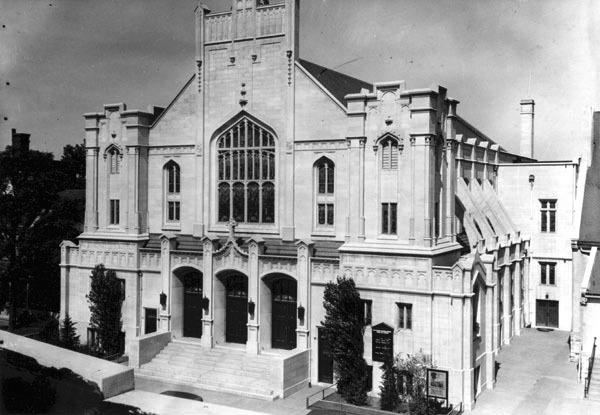 Description: St. Paul's Lutheran Church, 839 North Market. Description: Children arriving during snow storm for week day religious school at First Baptist Church Educational Building, 315 North Broadway. First Methodist Church in background. Wichita Transportation Corporation bus delivered children to school. Keywords: Wichita, religion, people, transportation, street scenes. 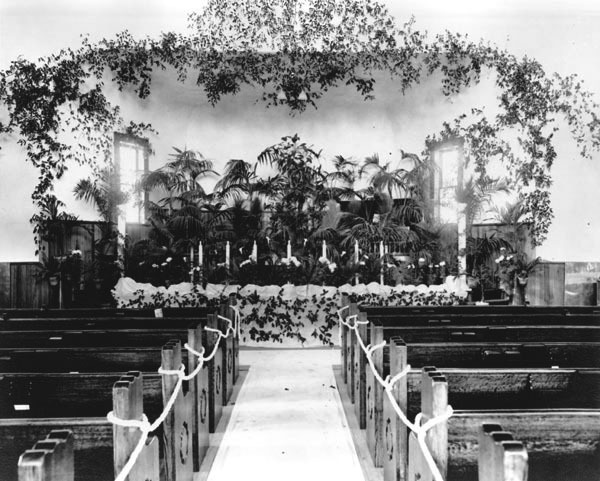 Description: Sanctuary of the First Unitarian Church, 401 East Central. Description: View looking north toward headquarters of Wichita-based organization Defenders of the Christian Faith. Building located at 2502 East Douglas Avenue at northeast corner of Poplar Street and Douglas Avenue. Founder and leader Rev. Dr. Gerald B. Winrod stands with arms crossed just to left of street sign. 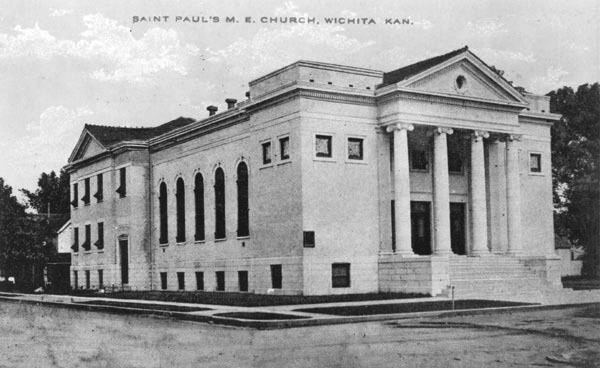 Keywords: Wichita; religion; people; organizations, clubs and groups; buildings. Description: View looking northeast toward Plymouth Congregational Church located at 202 North Clifton.